Give kids an introduction to U.S. 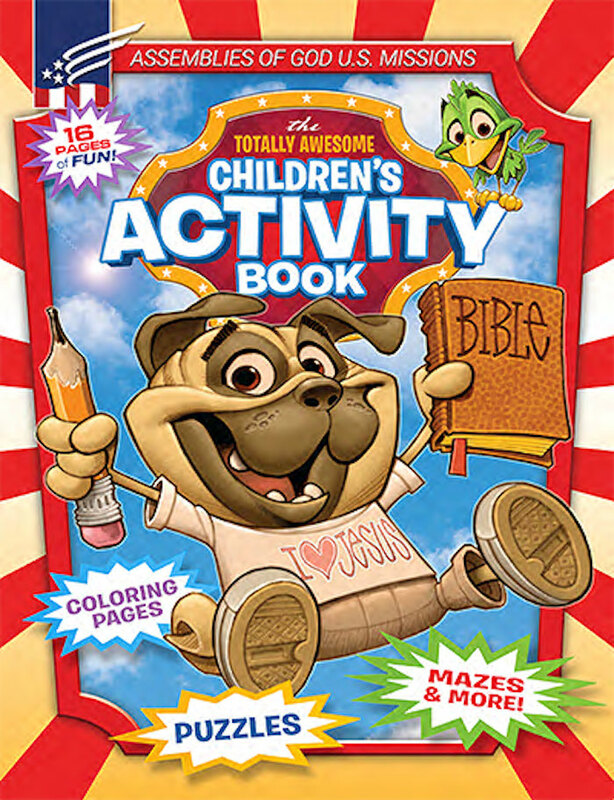 Missions with this fun-filled activity book. Kids will learn about the Seven Windows of U.S. Missions: Chaplaincy, Chi Alpha Campus Ministries, U.S.A., Intercultural Ministries, Missionary Church Planters & Developers, Teen Challenge International, U.S.A., U.S. MAPS, and Youth Alive. Includes mazes, word searches, coloring pages, dot-to-dots, and more. Great for missions conventions, or as a supplement to Sunday school or kids’ church when studying missions efforts. 24 pages.